ESKOM will shortly start to negotiate new long-term contracts with coal companies, and extend existing ones, to tackle a growing shortfall arising in part from under-investment in coal mines, the utility’s COO Jan Oberholzer said on Friday. In the past few weeks, Eskom has warned of the possibility of load shedding as coal stockpiles at ten of its power stations in Mpumalanga province have fallen below the grid code requirement of 20 days. Eskom has been warned for years of a looming “coal cliff” arising from its refusal to invest capital in the cost-plus coal mines (which it owns) or sign new long-term offtake agreements. Without long-term contracts, coal companies cannot raise the finance to build or extend large-scale mines. But Eskom’s previous management changed the procurement policy to one of signing only short-term contracts of two to three years. It also insisted that all its coal suppliers be 51% black-owned – a major hurdle for multi-billion rand mines to achieve. 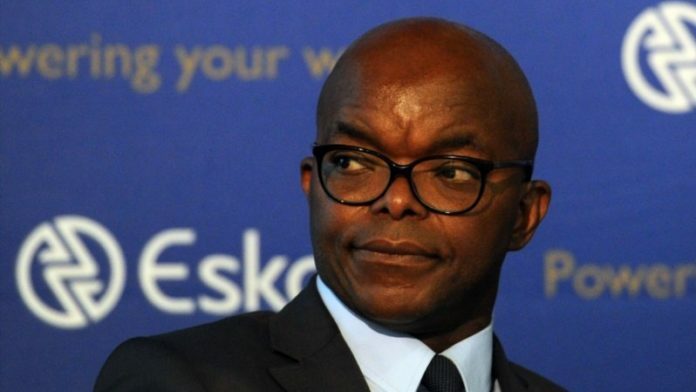 Eskom CEO, Phakamani Hadebe, said at Friday’s System Status Briefing that the 51% black ownership target was aspirational. Eskom’s procurement policy was governed by the Preferential Procurement Policy Framework Act and the Public Finance Management Act. About 72% of its procurement was from companies that are less than 51% black-owned. “We realise that we need to engage with the coal companies differently,” Hadebe said. “To some we need to apologise because some of the decisions we made spoiled the relationship. We have made those apologies and some are coming back, even reviewing their own price, because we are all South Africans and what is good for Eskom is good for South Africa. Apart from the lack of investment in coal mines, Hadebe detailed several other reasons for the coal shortfall, stemming back to November 2017. They included the length of time it takes to sign new contracts, which is up to a year, and the placing of the Gupta-owned Tegeta Mining & Exploration’s three coal mines into business rescue. That resulted in the loss of about 0.75 million tonnes (Mt) of coal a month. Hendrina and Komati power stations were 100% supplied by Tegeta mines and coal is now having to be diverted from other power stations to keep them running. Eskom is also having to compete with the global market, where the current thermal coal price is about $110/t. Eskom’s immediate coal shortfall is 5.7Mt and it needs to procure 4Mt urgently, by next month. It has already secured National Treasury approval for, and contracted, 1.1Mt of that volume. The price being paid is in line with its other current contracts. The other 2.9Mt is under negotiation. From the beginning of December, 1.4Mt/year will be railed from Medupi power station in the Waterberg to the Mpumalanga power stations. This year Eskom has signed 27 new coal contracts to procure 73Mt over the next few years, but it needs to sign up 116Mt. “It is going to be a journey,” Hadebe said. Oberholzer said apart from starting negotiations on long-term contracts (which means a duration of longer than eight to 10 years, to match the lives of its power stations), Eskom was setting aside R6.5bn of capex over the next few years to invest in cost plus mines to ensure their sustainability. It was also putting in place a robust procurement process, since waiting a year to conclude a contract was not practicable. And for this “slip-up” read “State Capture motivated idiotic” management decisions, we the consumer have to pay more for electricity. The struggle for economic freedom for Black South Africans will have twists and turns. There will be days were it will be complete dark and easy to loose hope than carry on. But , as our political struggle taught us, we must soldier on! Some of the betrayers of such an economic struggle will be black, akin to the Eskom CEO. In his myopic world , only whites deserve Eskom’s bounty on coal NOT blacks. Its a shame , but unfortunately it’s a heavy cross we need to bear! Sweet words, GS, spoken as a true struggle stalwart. Viva, Comrade!